Expressing gratitude and saying a simple thanks can go a very long way. This is most especially true for donors. Donors who give a generous amount of donation, whether in kind or through money, do not ask for anything in return. However, despite this fact, they do deserve being thanked, letting them know that you deeply appreciate what they have given for an organization or an academic institution. 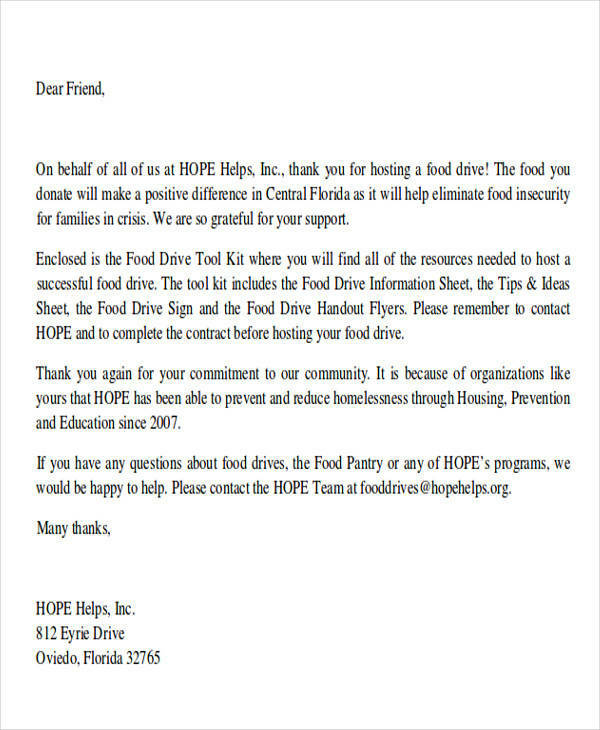 The best way of letting them know about how thankful you are is by writing a donation thank-you letter. 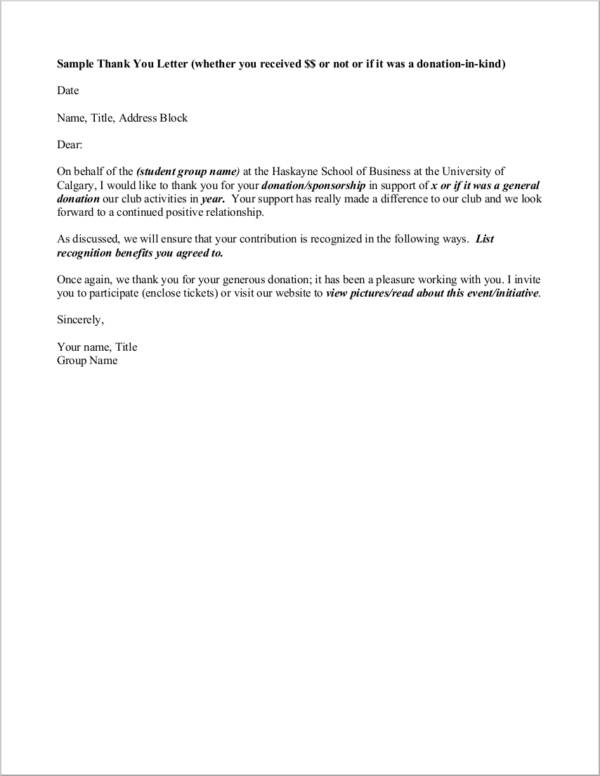 Sending donors a thank-you letter can help to keep your relationship with the donor stronger and you will definitely be able to keep great connections with them, which can be great for future endeavors that you might have. 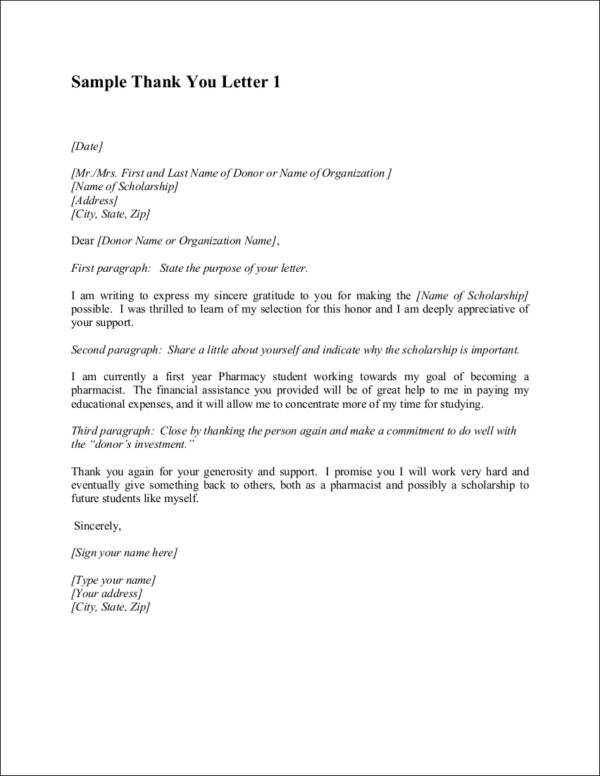 If you write it well enough, it will definitely be a letter for keeps and something that the donor will definitely enjoy reading. Just make sure that you do not make it sound too formal, dull, and canned especially if you are sending your letter to a lot of donors. Your letters should definitely make the donor feel how much impact their donation has made in your life, which is usually related to education, an advocacy, or cause. If you need advice on how you will be able to write a donor thank-you letter that is heartfelt and personalized, you just found yourself in the right article and website! We would like to share with you a few tips and guidelines, as well as a couple of sample thank-you letters that you can freely download directly on your preferred device. So what are you waiting for? 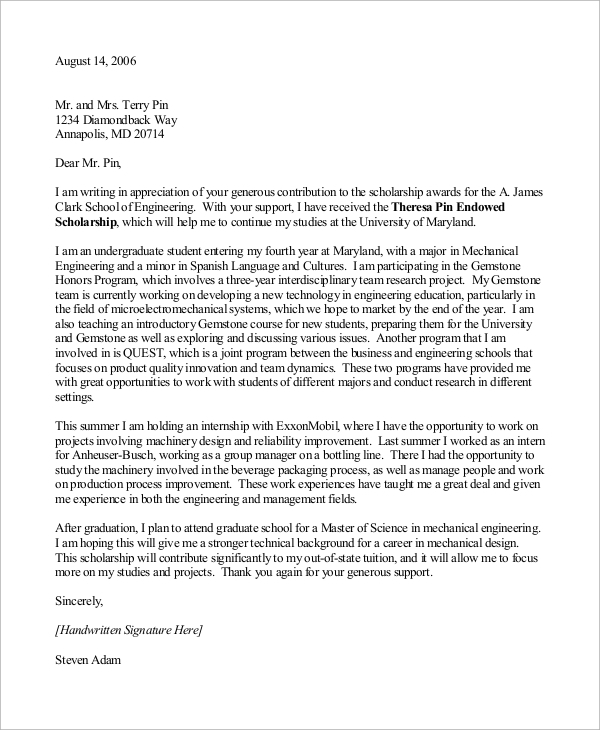 Keep reading this article to find out more and to get a better perspective about writing a job offer thank-you letter that your donors will greatly appreciate. Give your thank-you letters as soon as possible. 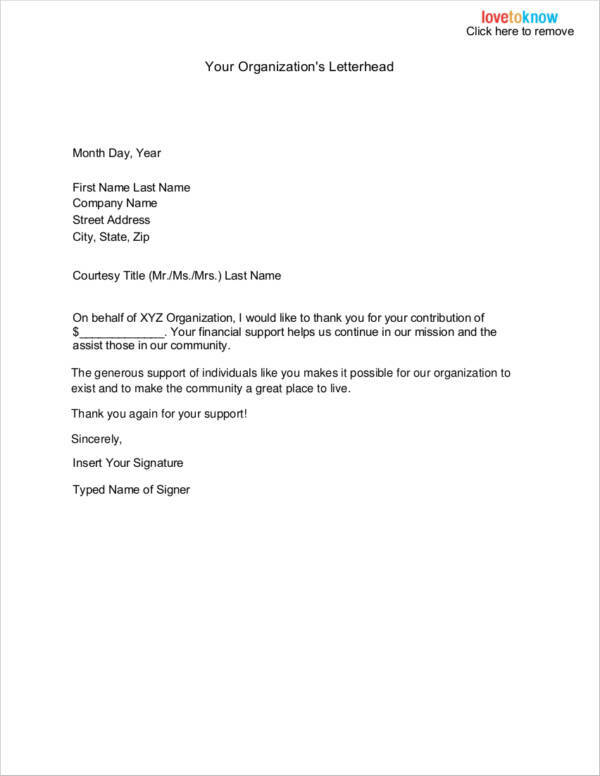 When you send your thank-you letters for donation in a prompt manner, the donor will feel that you are highly dedicated to your cause or advocacy and that you are indeed very grateful for the donation that was made. Try to send out your letters within 24 hours to 48 hours after receiving the donation. Organize and craft what you will write. You can brainstorm a few ways on how you can make your thank-you letters more personal and a whole lot more memorable to the donor. If you are campaigning about a cause, you can mention a few anecdotes related to your campaign as this will help to make it easier to connect with the donor. You can even try to touch emotions by mentioning how the donation has made a difference in your cause or advocacy. Keep your sentences short and brief. Make it easy for the donor to understand your thank-you letter by making use of simple language. Stay away from jargon and long sentences. Inform your donor. Let your donor know how much the donation meant to you and how much difference it will make to your advocacy, cause, or education. Make them feel that what they have donated is worthwhile and has helped you accomplish your goals or mission statement. You may also opt to inform the donor about what your future plans are. 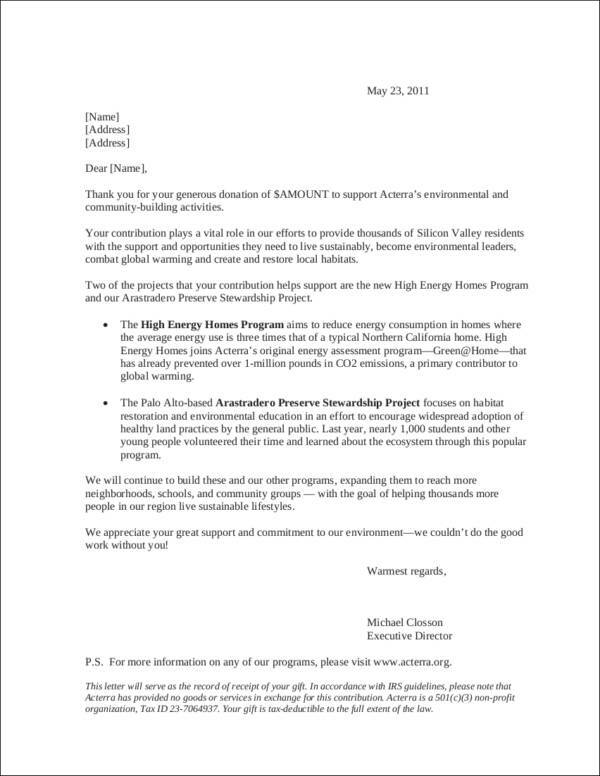 The thank-you letter can be a good avenue for you to invite them to these future plans. 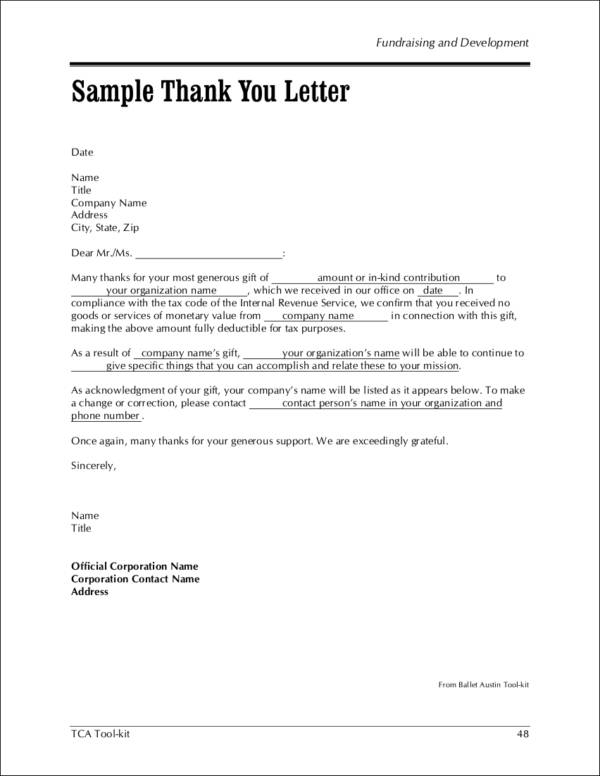 Make your donor thank-you letter personalized. 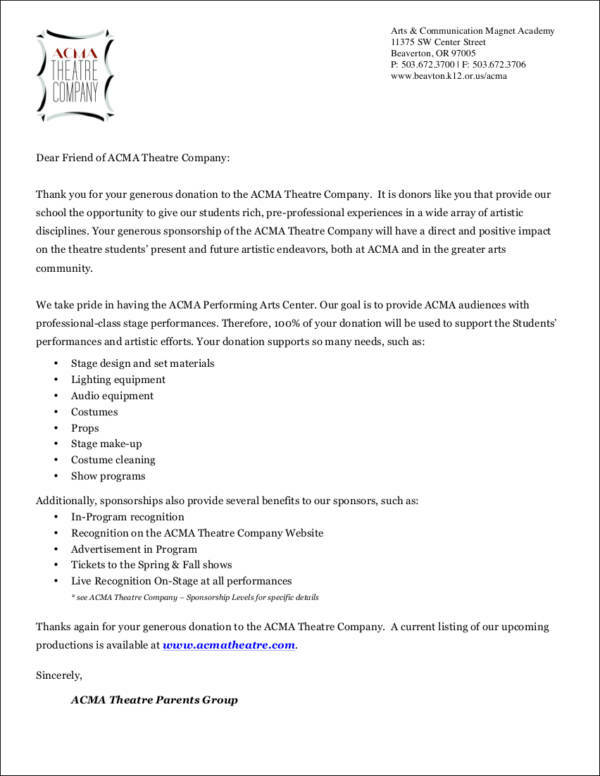 For sure, there will be more than one donor for a scholarship, cause, or advocacy. This is going to make it difficult for you to write a unique letter for each of the donor. 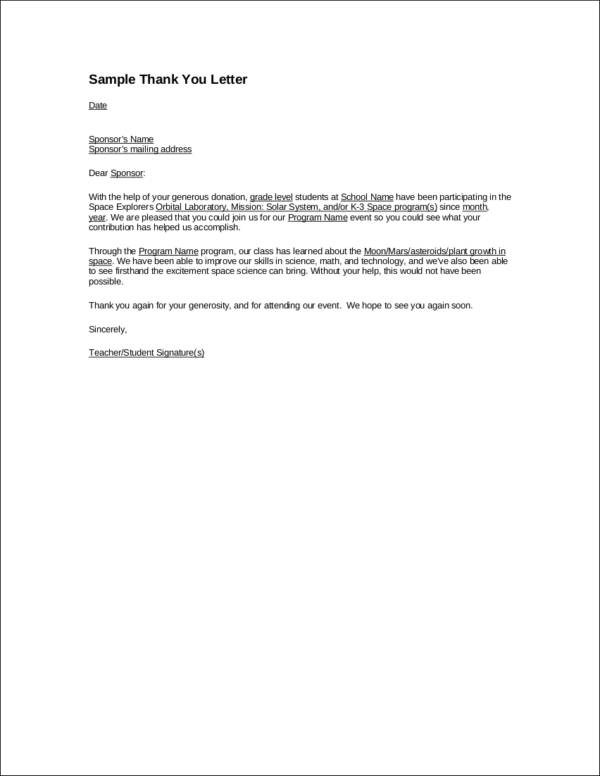 You can, however, make a thank-you letter template where you will assign what you will write in each section of the template. This way, you will know what you will need to say, and, of course, do not forget to address the letter to the donor. Make sure that you are able to spell the name of the donor properly. 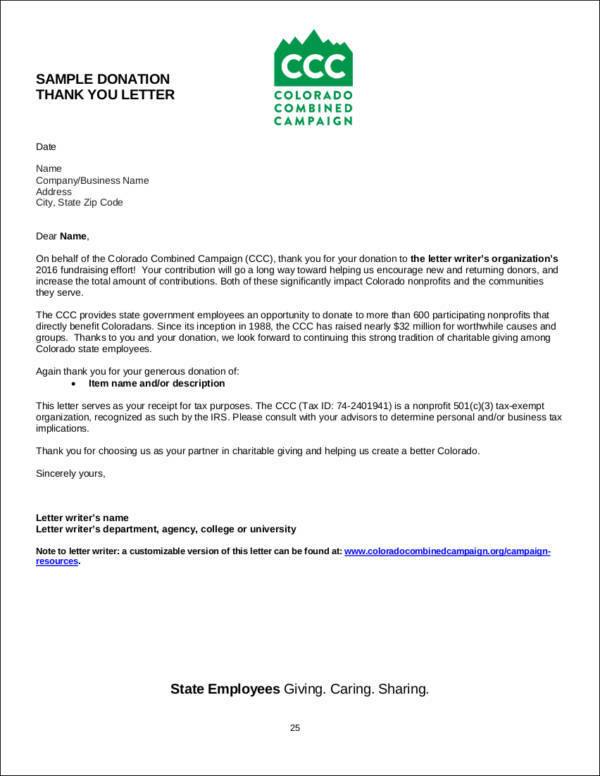 To make the letter even more personalized, you can mention the date they gave their donation and how much they gave. Review your letter. Make sure that you reread your letter and that you correct any grammatical mistakes as well as spelling mistakes. 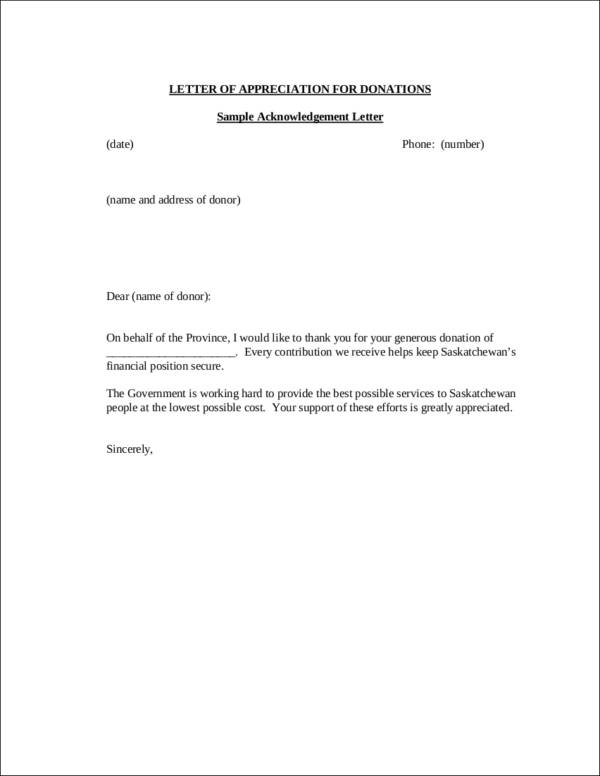 You want your professional thank-you letters to be close to perfection. You want to make sure that you maintain friendly yet professional with your letter. These are just a few tips for writing a thank-you letter. We are hoping that these tips will help you come up with a good donor thank-you letter that the donor will definitely enjoy reading and will probably read over and over again throughout the years. The later part of this article, we will let you know the most common methods of sending thank-you letters to your donors. 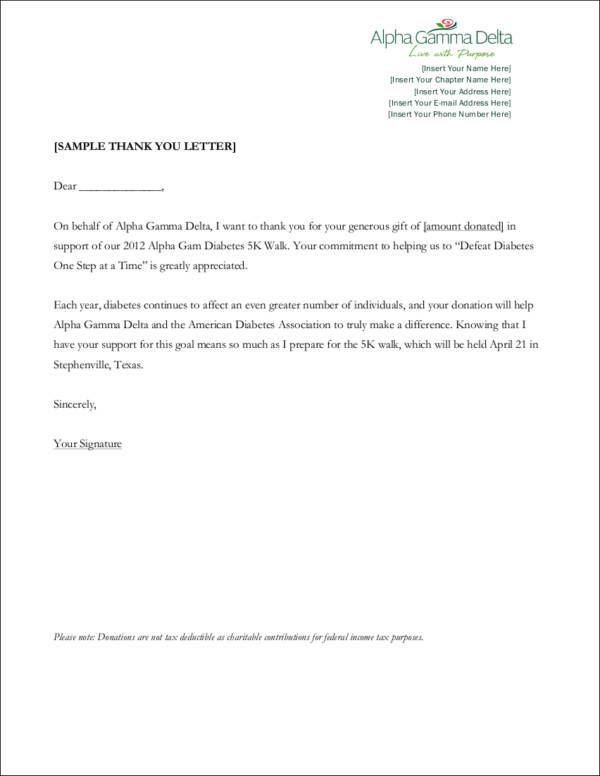 We will also include some additional information that you would need to know about donor thank-you letters. 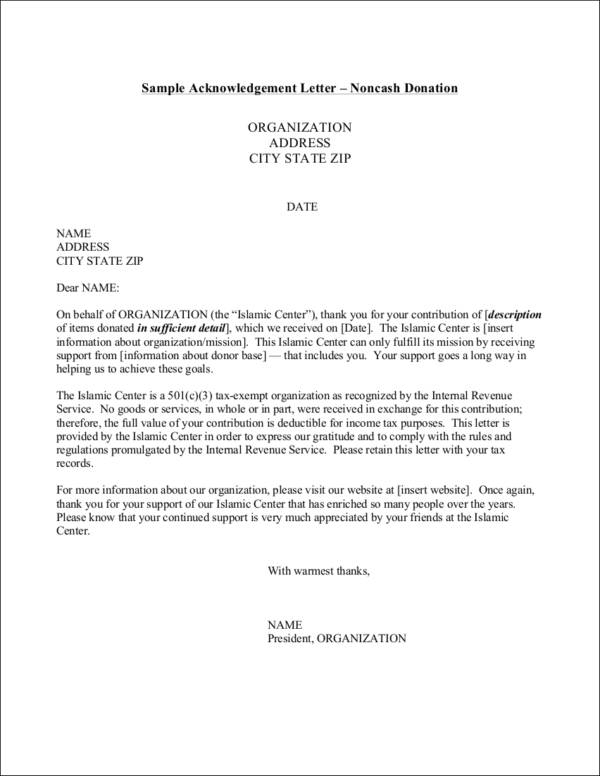 We are glad that you now know just a little bit more about how to write a donation thank-you letter. With the tips you have read in the earlier part of this article, it can help you come up with a letter that is polished and well-written. 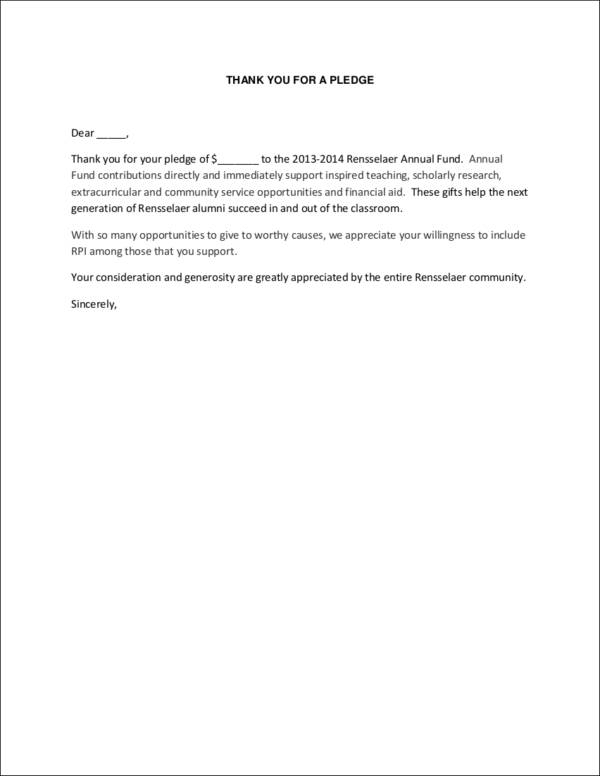 Hopefully, your thank-you letter will help to keep encouraging the donor to keep in touch with you and keep donating to support your cause or your education. After drafting your letter, you may be wondering how you can send your letter to the donor. Here we will discuss the most common ways of how you can send your thank-you letters. Just keep reading. Direct or snail mail. This is one of the most common ways on how you can send these letters. If you plan on sending your letter via mail, you can have your letter handwritten or printed on a nice stationery. Fold your paper carefully and neatly to the size of the envelope you are going to use for sending your mail. On the envelope, write down the name and full address of the donor on the center of the envelope. If you want to, you may also write down the return address on the upper left hand side corner of the letter envelope. Do not forget your stamps! Glue it to the upper right hand corner of the envelope. Do not forget to also securely seal your envelope. Drop it off the nearest post box and you are good to go. Email. In this time where everything is instant, you can send your thank-you letters with just a few clicks! Emailing your thank-you letters is definitely one of the most economical way of sending letters. Why? You literally do not have to spend a single cent when it comes to sending it via email. Plus, you can send it immediately without the need to print or have your letters handwritten. You may also opt to include any photos of the advocacy or cause or the fundraising event that they attended. Doing so helps to make them feel just how worth it their donation is. Social media messaging platforms. A ton of social media now has a messaging platform that makes communicating with people a whole lot easier. Sending your thank-you letters via social media may not be the most formal way of sending a formal thank-you letter but it can be a good start to a meaningful conversation as these messaging platforms have pop-ups that ensure that the recipient get to read what you have sent. Personal delivery. Sending the letter personally will definitely be a big surprise to the recipient. It will obviously take more effort to do so but it does make everything all the more personal. Plus, you get to talk to the donor in person, which is going to be a great way of establishing connection with them. We hope you did learn a lot from our article. Time to start thanking your donors!